If you're planning on building a power-packed system, opt for the MSI 990FXA-GD65 V2 AMD 990FX Motherboard. 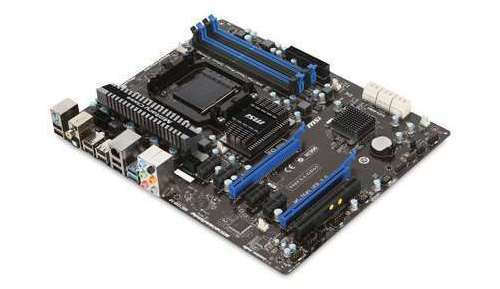 The MSI 990FXA-GD65 V2 AMD 990FX Motherboard is equipped with Socket AM3+ to allow you to install AMD Sempron, AMD Phenom II X8/X6/X4/X3/X2 or Athlon II X4/X3/X2 processors. 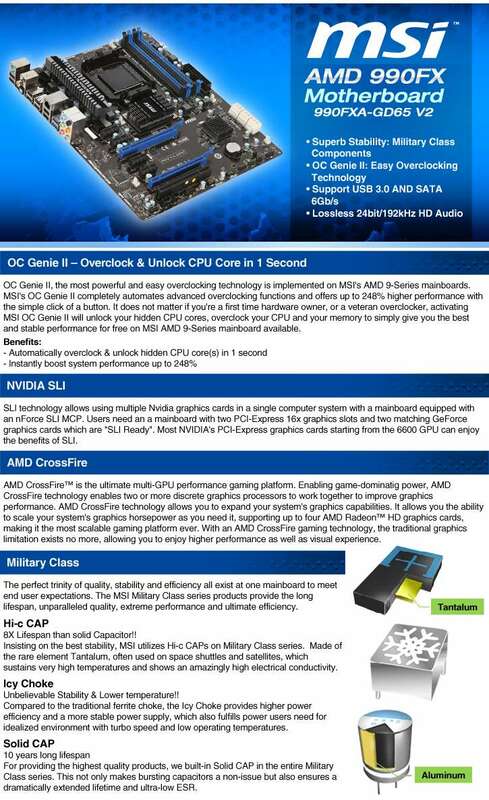 You can also install up to 32GB (8GB x 4) of DDR3 memory for unbelievable performance. 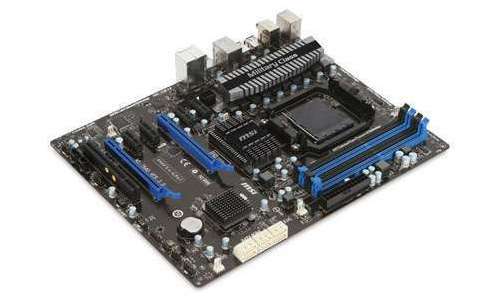 In addition to delivering optimum computing performance, this ATX motherboard is SLI and CrossFireX ready, supporting multiple GPUs for enhanced visualization. 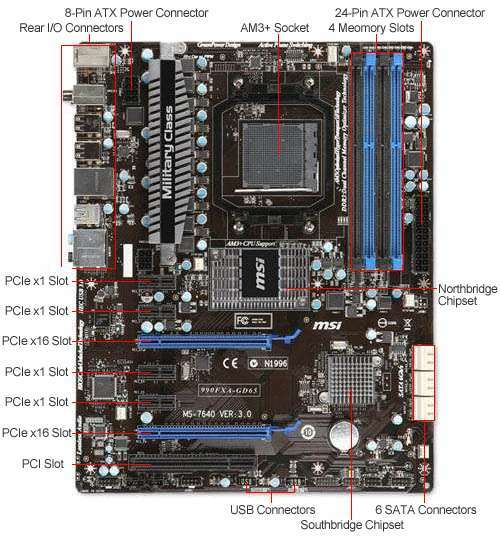 With appropriate connections such as SATA III, USB 3.0, LAN and more, the MSI 990FXA-GD65 V2 AMD 990FX Motherboard is one powerful system foundation.